Unipak's range of compostable and eco-friendly food packaging. 1. YOU CAN TRUST THE GREEN CHOICE BRAND. 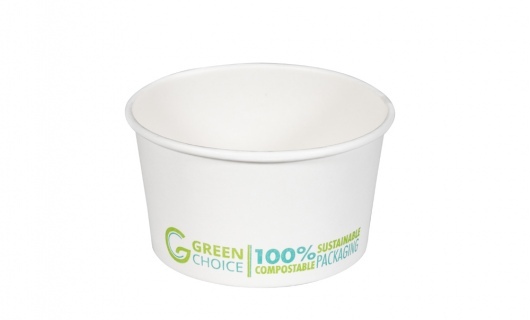 The Green Choice range consists of the most popular types and sizes of takeaway food and drink containers and utensils. Green Choice products can be trusted, they have earned the required levels of managed forestry, compostability and food safety certification. All pulp used in paper and kraft manufacture is derived from well managed forests and complies with FSC standard 40-004. All PLA products comply with EN 13432 (09-2000) standards and AVI/OK 1 testing for "OK COMPOST" confirmation. All products passed SGS EU 10/2011 and EN 1186-1/9/14:2002 food safety testing methodology (tolerance to high temperatures and fatty substances, and absence of heavy metals). All Green Choice products are free of petroleum-based plastics and all inks are food-dyes. 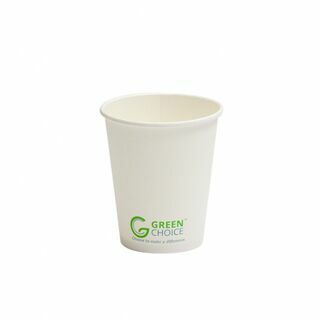 Green Choice single wall hot cups are a good economy option. 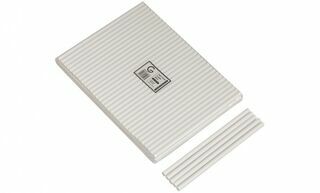 An insulation sleeve is available to improve insulation properties. They are very popular in NZ markets. They are made of card and lined with PLA, a plant-based plastic, not a petroleum-based plastic. As food contamination is not a problem, the waste container can be sent to a landfill (to eventually breakdown into plant matter) or sent to a commercial composting centre (for conversion into compost). 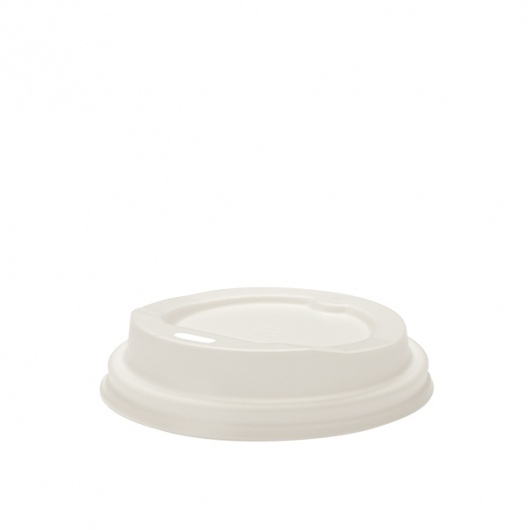 Our ripple wall hot cups provide optimum insulation properties and extra grip. They are very popular in NZ markets. They are made from two layers of card and lined with PLA, a plant-based plastic, not a petroleum-based plastic. As food contamination is not a problem, the waste container can be sent to a landfill (to eventually breakdown into plant matter) or sent to a commercial composting centre (for conversion into compost). 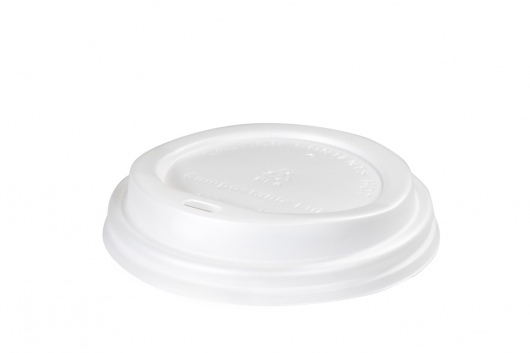 Green Choice double wall hot cups provide great insulation properties and do not require a sleeve. They are very popular in NZ markets. They are made of two layers of card and lined with PLA, a plant-based plastic, not a petroleum-based plastic. As food contamination is not a problem, the waste container can be sent to a landfill (to eventually breakdown into plant matter) or sent to a commercial composting centre (for conversion into compost). Green Choice chip scoop is very popular in NZ markets. 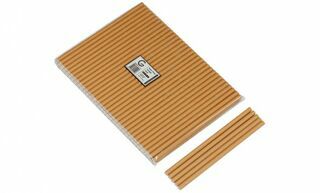 They are flat-packed and very quick and easy to construct. They are made of card and lined with PLA, a plant-based plastic, and not a petroleum-based plastic. As food contamination is not a problem, the waste container can be sent to a landfill (to eventually breakdown into plant matter) or sent to a commercial composting centre (for conversion into compost). 50H x 95DIA 240ml capacity to brim. Made with clear PLA, these dome lids look and feel like a combination of PET and PP materials: but they are compostable. This means they feel strong, while providing clear visual product representation: and they do not contain petroleum-based plastic. 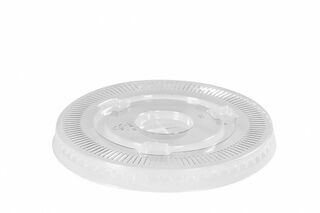 Made with clear PLA, these flat lids look and feel like a combination of PET and PP materials: but they are compostable. This means they feel strong, while providing clear visual product representation: and they do not contain petroleum-based plastic. Green Choice white CPLA cutlery is very popular in NZ markets. The forks are well constructed and stylish. They are made of CPLA, a plant-based plastic, and not a petroleum-based plastic. 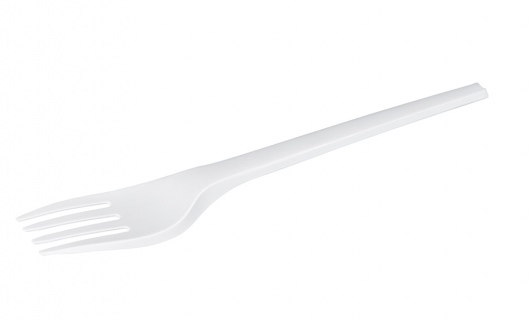 As food contamination is not a problem, used cutlery can be sent to a landfill (to eventually breakdown into plant matter) or sent to a commercial composting centre (for conversion into compost). Green Choice white CPLA cutlery is very popular in NZ markets. The knives are well constructed and stylish. They are made of CPLA, a plant-based plastic, and not a petroleum-based plastic. 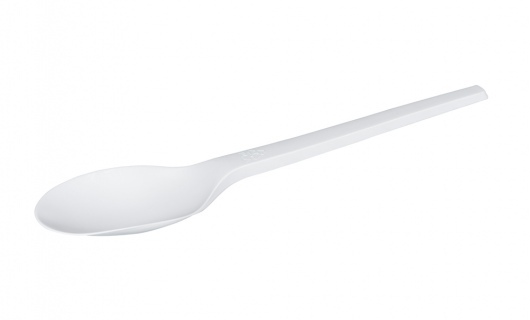 As food contamination is not a problem, used cutlery can be sent to a landfill (to eventually breakdown into plant matter) or sent to a commercial composting centre (for conversion into compost). Made with Crystalised PLA, these lids look and feel like a PS material, but they are compostable and can be safely deposited in a landfill to naturally break down. They do not contain petroleum-based plastic. They have a great tight snap-on seal, with a good venting hole, and they feel safe and strong. 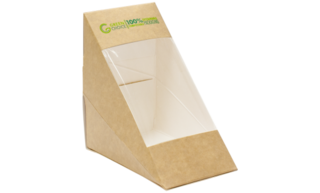 Green Choice sandwich boxes are flat-packed and very quick and easy to construct. They are made of card and lined with PLA, a plant-based plastic, and not a petroleum-based plastic. The clear window is also PLA. As food contamination is not a problem, the waste container can be sent to a landfill (to eventually breakdown into plant matter) or sent to a commercial composting centre (for conversion into compost). 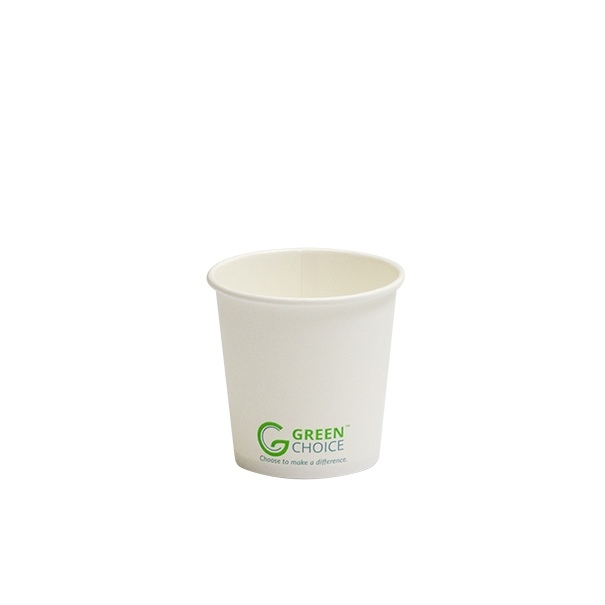 These cardboard sleeves are designed for use with Green Choice 16oz Single Wall cups should users require extra safety when handling hot drinks. This is a sleeve only - cups and lids are separate. These cardboard sleeves are designed for use with Green Choice 8oz & 12oz Single Wall cups should users require extra safety when handling hot drinks. 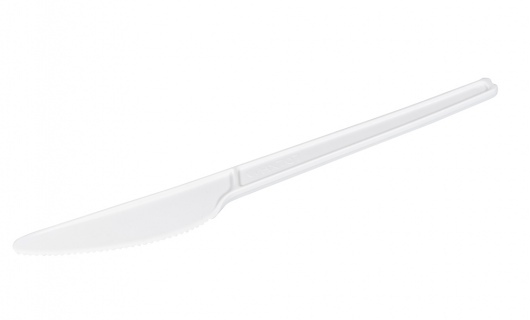 Green Choice white CPLA cutlery is very popular in NZ markets. The spoons are well constructed and stylish. They are made of CPLA, a plant-based plastic, and not a petroleum-based plastic. As food contamination is not a problem, used cutlery can be sent to a landfill (to eventually breakdown into plant matter) or sent to a commercial composting centre (for conversion into compost). Our single wall hot/cold cups are a good economy option. They are very popular in NZ markets. They are made of card and lined with PLA, a plant-based plastic, not a petroleum-based plastic. As food contamination is not a problem, the waste container can be sent to a landfill (to eventually breakdown into plant matter) or sent to a commercial composting centre (for conversion into compost). Plant based CPLA matching lids are available. Green Choice Burger Box Kraft F-Flute - Medium. 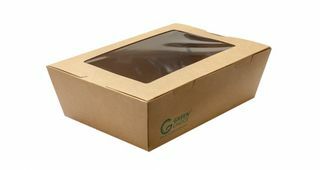 Our range of kraft cardboard boxes are home and commercially compostable and recyclable if not contaminated with food waste. They do not contain a PLA lining so there is no-moisture resistant lining. 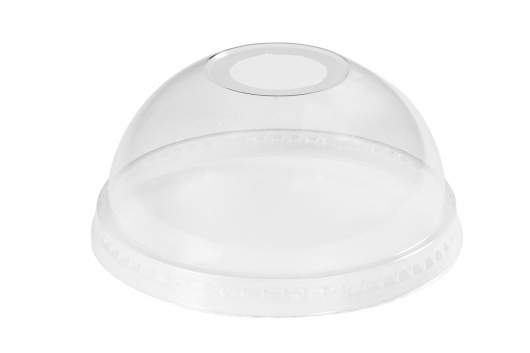 To help steam escape from hot food our lids include vents that can be opened to help reduce moisture build-up. Our 1mm thick F-flute provides a light yet sturdy feel to containers and a simple click tab allows for easy and reliable lid closure. The waste container can be sent to a landfill (to eventually breakdown into plant matter) or sent to a commercial composting centre (for conversion into compost). 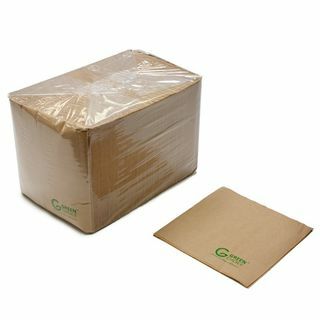 Green Choice compostable checkout bags are made from heavy duty Kraft paper. 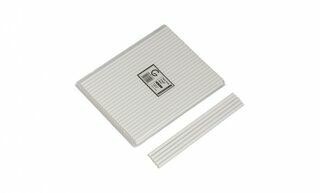 They include a block bottom design to allow them to stand up on a flat surface for convenient use. Our bags serve as a great alternative to plastic bags as our paper is sourced from sustainable forests and used bags are compostable. 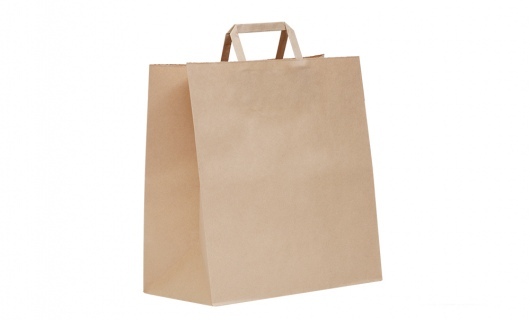 Supplied in sets of 250, our medium sized paper checkout bags are ideal for use in supermarkets and convenience stores. 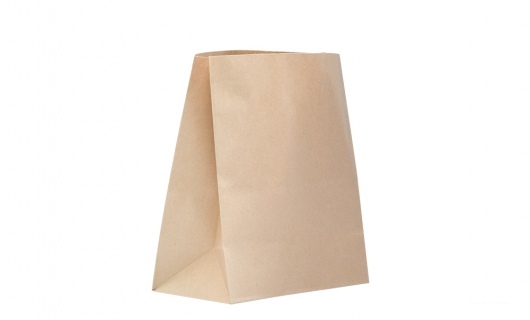 Supplied in sets of 250, our small sized paper checkout bags are ideal for use in supermarkets and convenience stores. 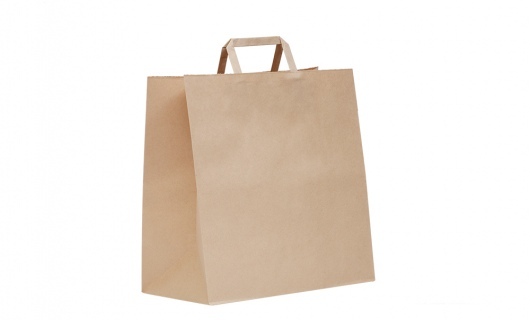 Green Choice compostable flat handle checkout bags are made from heavy duty Kraft paper. They include a block bottom design, to allow them to stand up on a flat surface, and handles for convenient carrying. Our bags serve as a great alternative to plastic bags as our paper is sourced from sustainable forests and used bags are compostable. Supplied in sets of 250, our large sized paper checkout bags with handles are ideal for use in supermarkets and convenience stores. 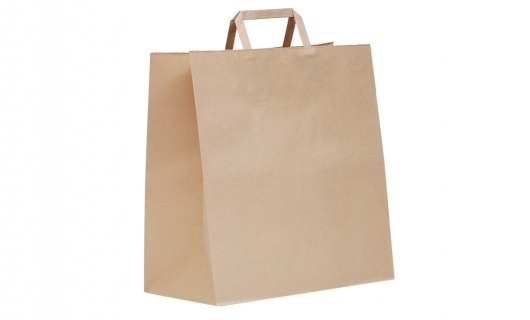 Supplied in sets of 250, our medium sized paper checkout bags with handles are ideal for use in supermarkets and convenience stores. 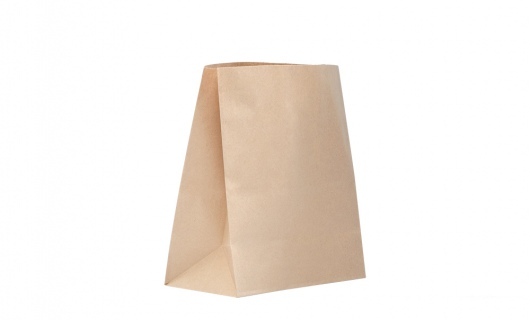 Supplied in sets of 250, our small sized paper checkout bags with handles are ideal for use in supermarkets and convenience stores. A good all-round unbleached natural kraft napkin, used in hospitality & food service departments. Plant based ink, 300x 300mm, single ply, quarter fold. 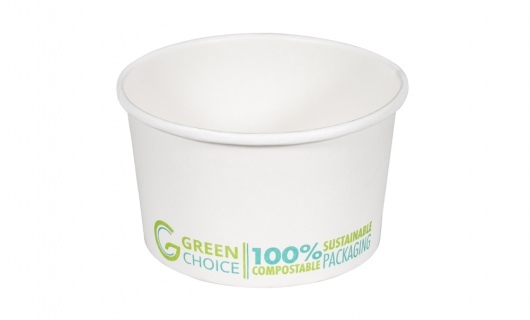 Compostable when sent to a commercial composting centre. Can be sent to landfill and will break down into plant matter. 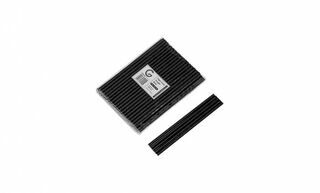 Green Choice PLA Cocktail Straw - 4mm DIA Black. Made from PLA, a plastic made from corn starch, our straws are compostable in a commercial facility. These are the individually wrapped version. We can supply advice stickers to help assure people they have made the right choice. To test straw types, completely fold a straw in half and if it stays bent at a right angle it is made from PLA, if it flicks back straight then it is made from PP (fossil fuel based plastic). Green Choice PLA Drinking Straw - 6mm DIA White - Paper Wrapped. Green Choice PLA Smoothie Straw - 8mm DIA White. Green Choice Paper Straw - 6mm DIA Kraft. Made from sustainably sourced paper and plant based glues, our paper straws are designed to withstand short term use and then collapse into paper pulp for quick and easy degradation once discarded. We have tested our paper straws in water and they sink from the surface to the bottom after 24 hours. This is because the water is absorbed and the paper becomes saturated and the paper sinks (check if other brands of paper straws sink, if they stay afloat then ask why). Green Choice Paper Straw - 6mm DIA White. Green Choice Paper Straw - 8mm DIA Kraft. Green Choice Paper Straw - 8mm DIA White. Green Choice Paper Straw - 5mm DIA Black. Green Choice Take Away Box Kraft PLA with Window - Large. 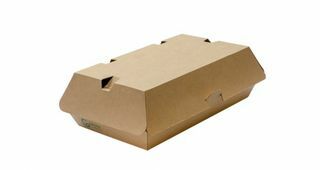 Our range of cardboard snack boxes are very popular in NZ markets. 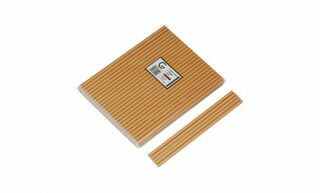 They pre-constructed and easy to close and seal. They are made of card and lined with PLA, a plant-based plastic, and not a petroleum-based plastic. This provides a barrier to oils and sauces and avoids leakage. A clear PLA window allows for viewing of food whilst maintaining the composting credentials of the product. As food contamination is not a problem, the waste container can be sent to a landfill (to eventually breakdown into plant matter) or sent to a commercial composting centre (for conversion into compost). 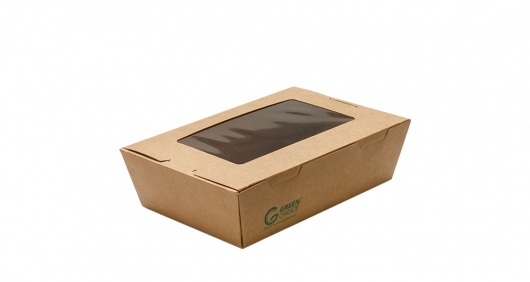 Green Choice Take Away Box Kraft PLA with Window - Medium. 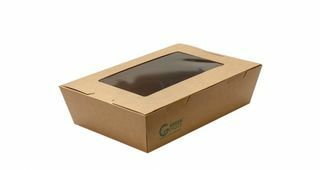 Green Choice Take Away Box Kraft PLA with Window - Small.